BRANDON, MB – An internationally-recognized voice in Indigenous health and the law at Brandon University (BU) is hailing an Ontario court decision on constitutionally protected rights to traditional medicine as “precedent-setting”. Dr. Yvonne Boyer, BU’s Canada Research Chair in Aboriginal Health and Wellness, was commenting on last week’s judgment rejecting an application from a Hamilton hospital that would have seen the Children’s Aid Society intervene in the case of the Haudenosaunee girl whose family had refused chemotherapy at the hospital in order to pursue traditional healing. Although she believes Honourable Justice Gethin B. Edward of the Ontario Court of Justice has correctly ruled, Dr. Boyer expects that the court ruling may be appealed as is often done in precedent, high profile cases. 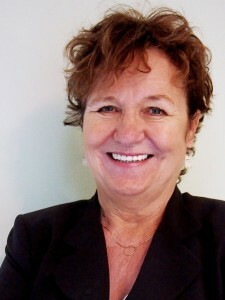 In her position as Canada Research Chair for Aboriginal Health and Wellness, Dr. Boyer has been recognized by the federal government for her research excellence to improve depth of knowledge and quality of life with $500,000 in funding to advance Aboriginal Peoples’ rights to health in Canada.